Speed, adrenaline and teamwork - these are just a few of the thrills MotoGP employees experience. 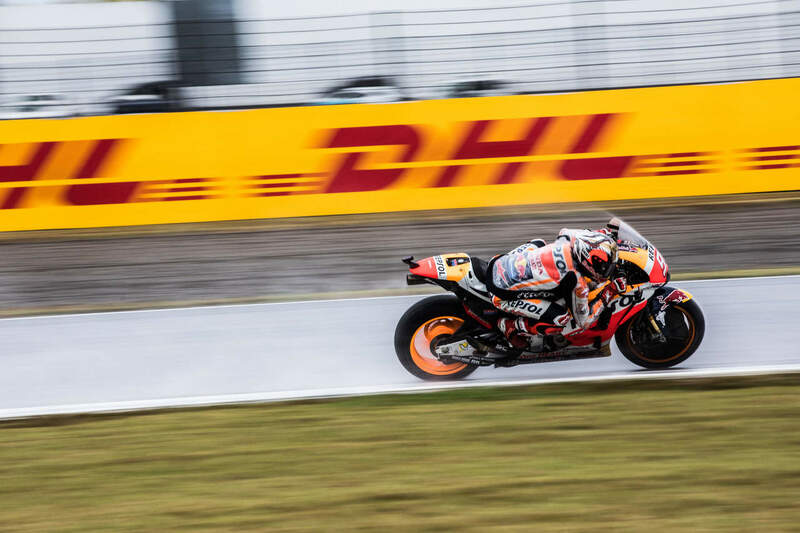 Following one’s passion may often entail taking a risk to pursue a dream far greater and more challenging than the comfort of a steady office career, but one look at the MotoGP team shows that it’s absolutely worth it. 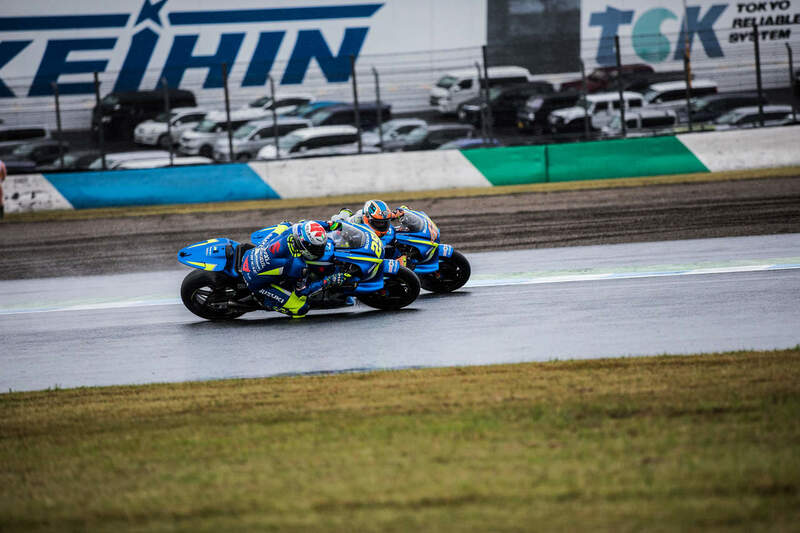 We’ll take a look at how far a passion for a career can take you and step into the world of the MotoGP team who’s on the track to success, giving their best day in and day out, regardless of what challenges weather and circumstance bring. So, who is MotoGP? Let's have a look at the event and the company behind it. 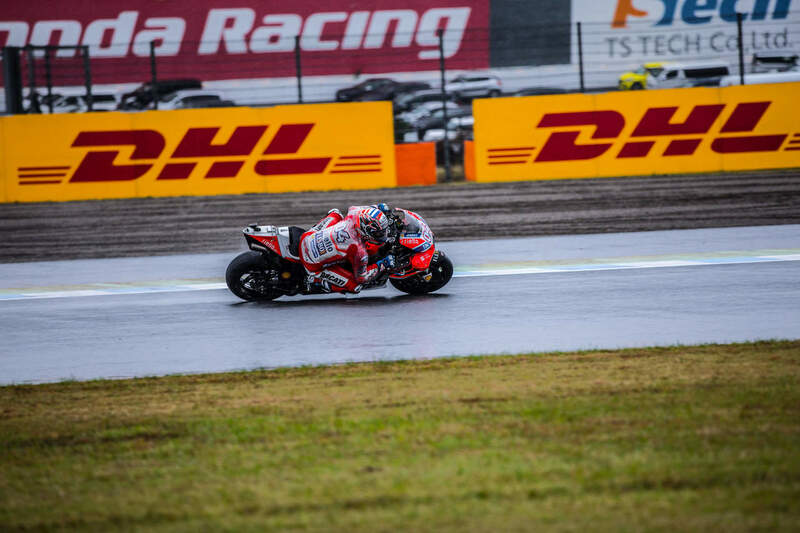 MotoGP has an 18-round season which visits 15 countries all over the world in order to showcase the fastest riders who have long ditched the business suit in favor of the racing suit. It is the product of a successful collaboration between the FIM, IRTA, the MSMA and Dorna Sports. 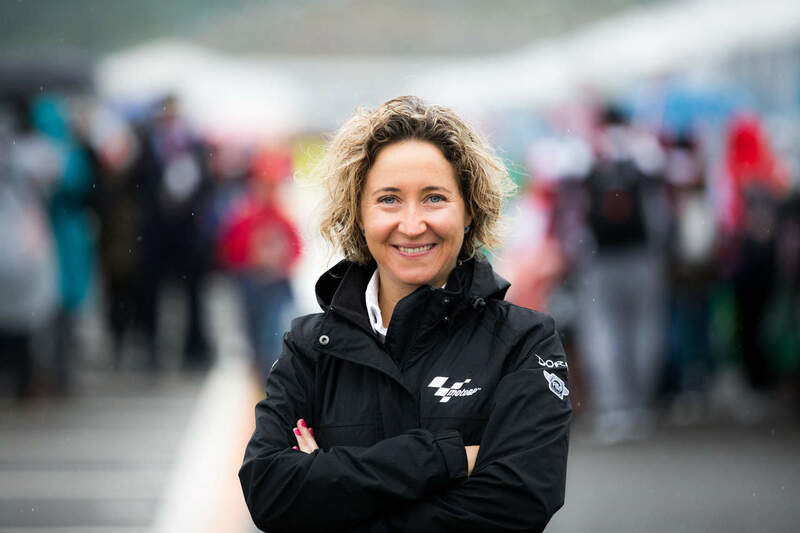 Dorna Sports is an international sports management, media and marketing company which has been around since 1988 and proven itself as a leader in the field. There are three main race categories: Moto2, Moto3 and MotoGP World Championships. Racing for MotoGP leaves no room for boredom. The adrenaline is at an all-time high and those involved are actively pursuing their passion. "The taste of victory is something special, better than anything. 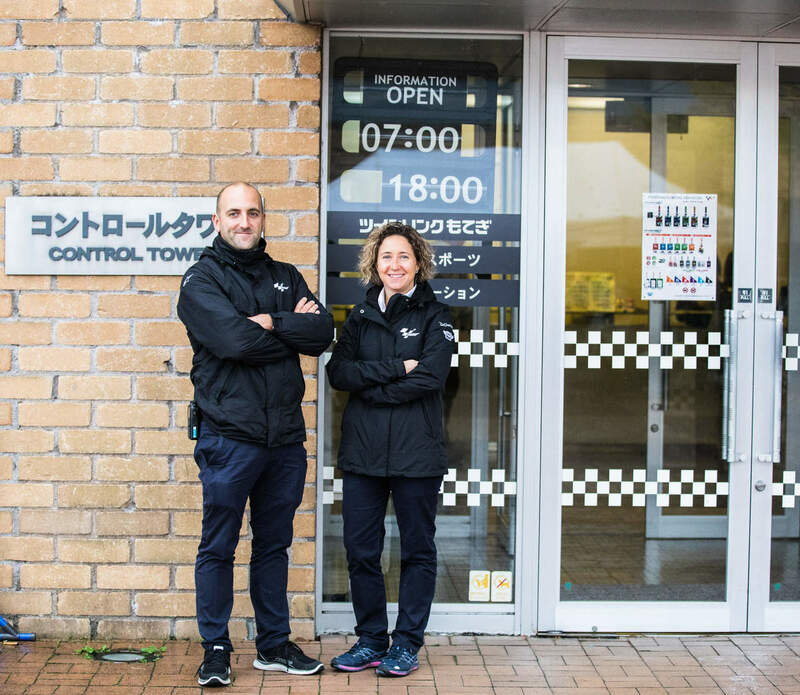 But the battle, the thrill of the last lap, the excitement of overtaking comes very close"
It comes as no surprise that Dorna employees are satisfied with the pursuit of their careers, given the fact that the company has its headquarters in Madrid, Spain, as well as branch offices in Barcelona, Rome, and Tokyo. 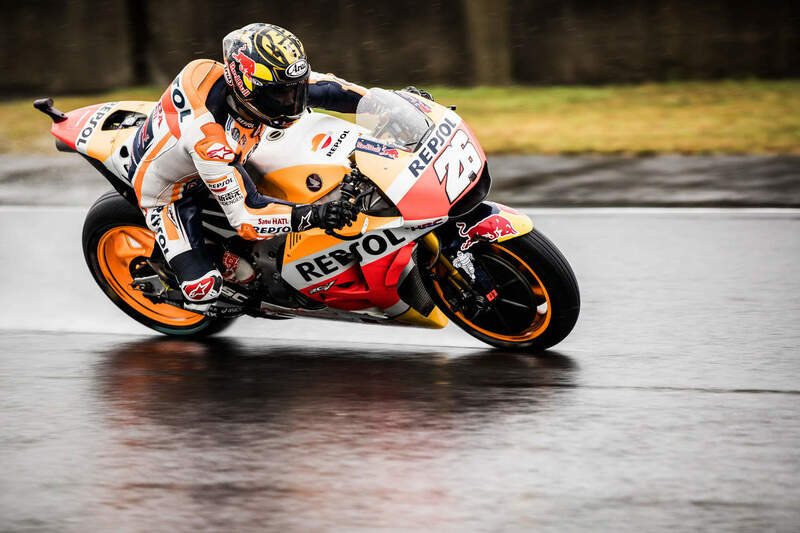 Why is MotoGP an important part of Dorna Sports? MotoGP has been around for an impressive 67 years. It attracts thousands of fans every year, making it the premier motorcycling championship. So, what career opportunities are there at MotoGP? The sports management and media company offers various career tracks. We've all seen the racers on powerful superbikes, but there is so much more to MotoGP. 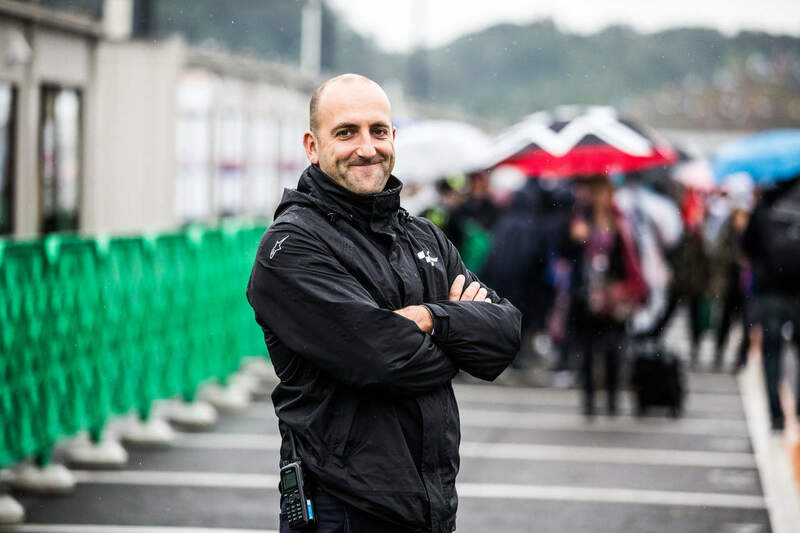 It takes a highly effective and capable crew to gather all the media material in rain and shine in order for MotoGP to reach its fans around the world, as well as an extensive team to support the other products the company offers. The wide variety of services that Dorna Sports offers really shows how much behind-the-scenes effort goes into producing and broadcasting the MotoGP race. The size of the company is small, including less than 200 employees, which contributes to a lean team. What is it like to be a part of a "lean team?" Unlike companies with thousands of workers where you can disappear into a certain category or a large team, small companies require specialization of employees. That means that each person is responsible for a certain operation and has to step up in order to make sure that all is executed correctly. This is where passion comes in. In order to be a part of a small and effective team, you have to really care about your job and feel a strong desire to do it well. Otherwise, there will be a broken link and the whole operation would falter. According to Dorna Sports, there are 65 countries that are represented by the company's media personnel. The homes reached via continental networks are an impressive 369 million, and the total broadcasted hours come up to 23,276. 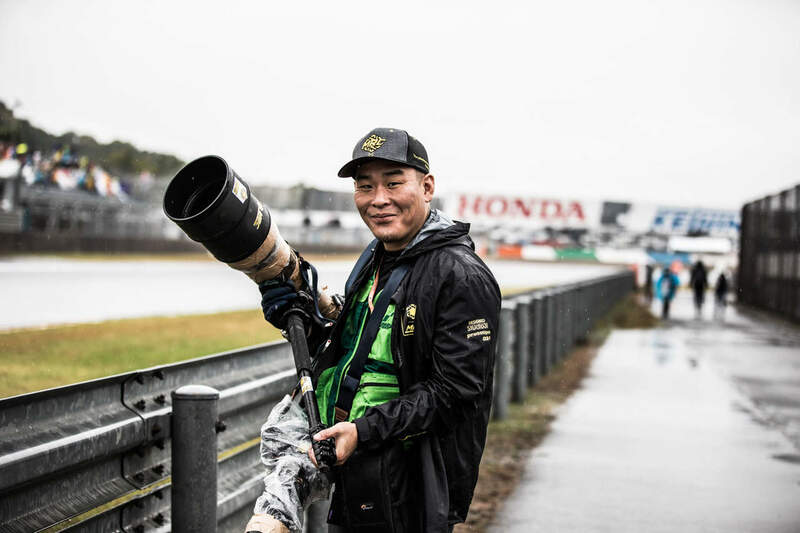 Motorcycles are not the only things that move at a crazy fast speed during the racing events; so does the PR & media crew in order to cover every second of the event for its viewers around the globe. So who's behind these numbers? 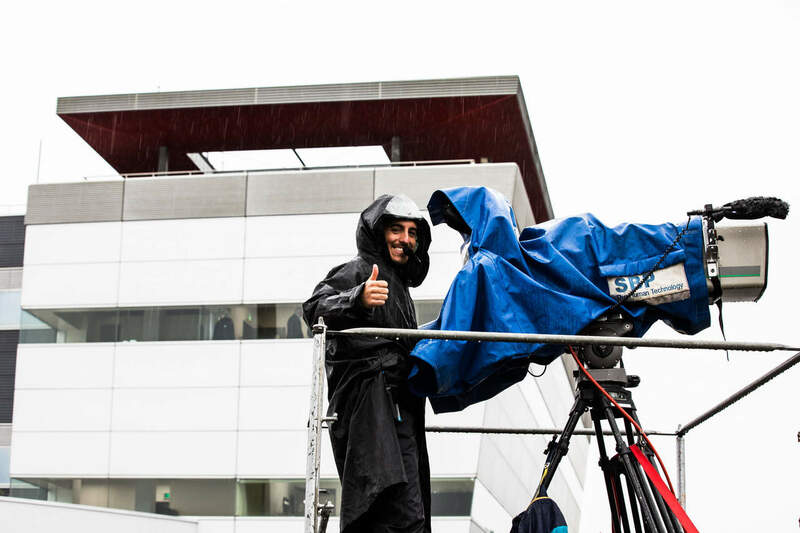 MotoGP has a very efficient media crew who's not afraid to get out on the track and work even when weather circumstances are far from ideal. Following one's passion to do media coverage of the race means being able to coordinate extremely well with your team and give your 100% in order to get the job done well. Media team management led by the MotoGP Media Manager, Frine Velilla with infallible coordination is very important. You'll see the MotoGP PR and media crew walking around with walkie talkies in order to remain in constant contact. Germán García & Laia Sanjuán, Commercial Media Department Producers are in constant coordination with leading media partners. From the control tower, they work in tandem and demonstrate a perfect example of the high level of coordination it takes in order to run such a large event. Though their job is demanding, they always have a smile on their faces. Working for MotoGP is certainly a way to take your passion for a career to the next level. 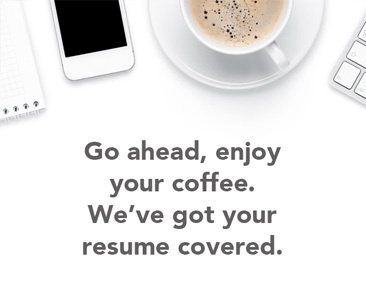 While it's true that you can have a PR job in an office and it would most likely be easier as you wouldn't have to deal with rain, the smell of gasoline, and unexpected hurdles, being actively on the field brings a much greater sense of fulfillment. Germán García behind the scenes at the paddock ensures that all the media partners have the right level of access in order to produce the optimal media coverage. Laia Sanjuán loves her job and handles all of the demands of dealing with multiple media partners at once without missing a beat. Advertising is a key part of Dorna Sports. Think of advertising as the next step after the media material has been captured and produced. It's up to the advertising department to ensure that the footage gathered by the media crew on the track and the efforts of the post-production team are presented to a wide audience and that the company continues to attract new clients. The work of the advertising team would often remain behind the scenes. You won't see these people running around the track, but you know that they are hard at work when you look at the numbers. Dorna Sports' Ad Time® has developed and introduced into the marketplace many different advertising systems. They have then been used in some of the highest-level sporting competitions such as the NBA, NHL, Spanish Football League, Japanese Football League, UK Premier League, and Mexican Football League. Motorcycle racing is perhaps one of the most exciting career paths one can embark on. While it's far from easy and convenient, this job can be very fulfilling. No two days are the same in the day of the motorcycle racer who has long left behind the business suit for a racing one. Instead of working behind a desk with stacks of paper and a computer, MotoGP racers get to play with far more advanced technology. The premier racing class features technology producing over 250 hp on a bike that weighs less than 160kg. This results in 0-100km/h (62mph) times in under three seconds, and top speeds of over 350km/h (217mph). With lean-angles of over 60-degrees from vertical, as well as braking forces in excess of 1.5G to be resisted with just the hands and feet of the rider, it comes as no surprise why racers are true thrill-seekers and passion is a key factor that has guided them to this field of work. Who are the brave souls who get to ride these bikes? This is what Marc Marquez, a MotoGP racer, had to say after a successful 2017 season. Safety is of paramount importance to the success of the event. 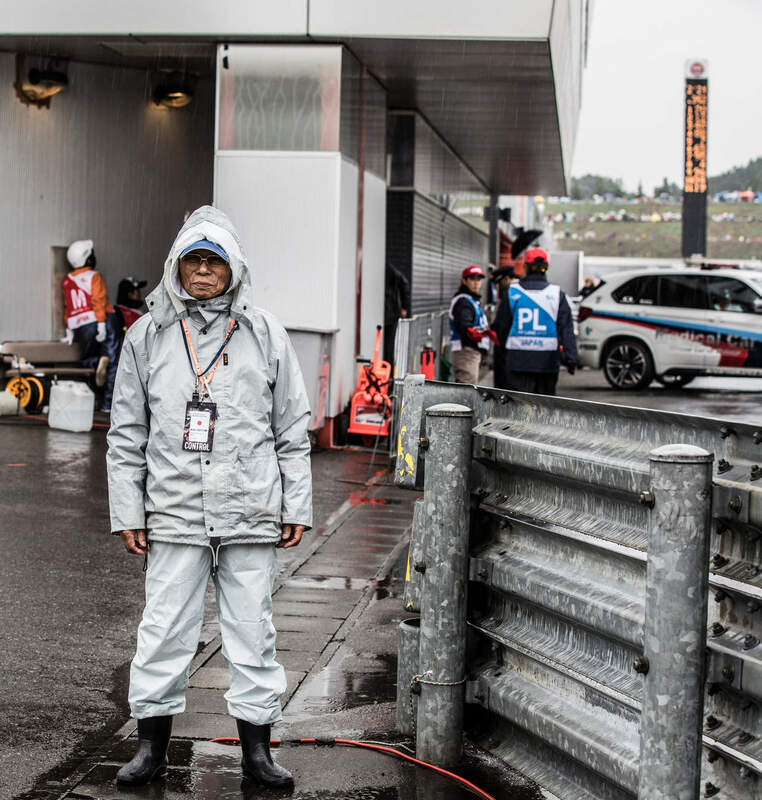 The safety personnel ensure that eager spectators and photographers do not end up putting themselves in danger on the track. 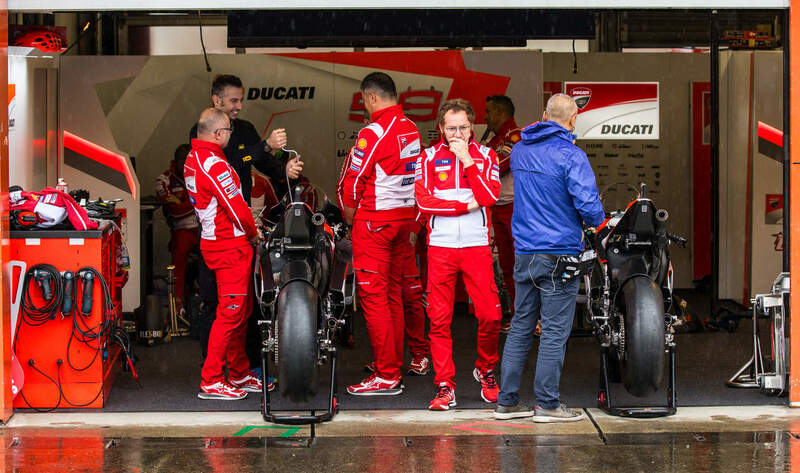 The maintenance crew is often one that stands in the background but without which MotoGP could never take place successfully. The track can be unpredictable, especially when weather is precarious. This is why the maintenance crew has to move quickly, efficiently and with expertise. This is a true hands-on job, as they have to fix any mechanical issues immediately. 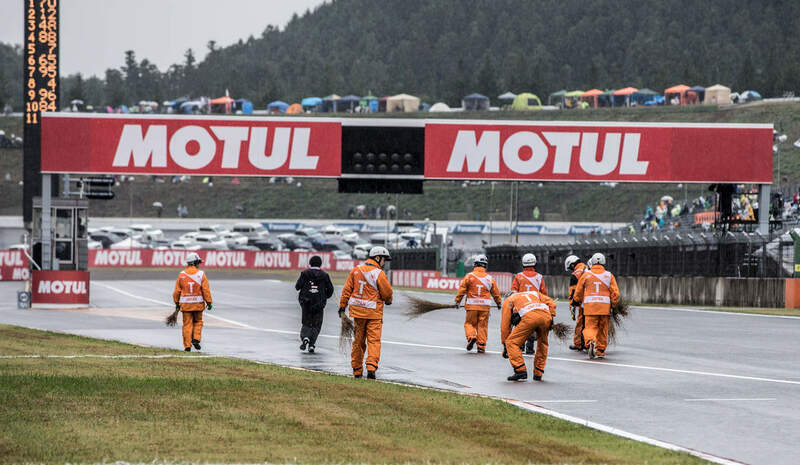 Keeping the track clean is crucial, as any spillage can be very dangerous, so it's not uncommon to see the crew rushing to clean any spillage from motorcycles. It's safe to say that it takes a high level of awareness in order to be successful on the MotoGP maintenance team. While the job doesn't mean that you'll be rushing to give a hand all the time, it definitely requires preparation. Since accidents in motorcycle racing are not uncommon, there has to be an effective way to act quickly and provide medical attention. You'll see a helicopter nearby during an event. On board of the "Doctor-Heli" is a qualified team of medical professionals who's there to make sure that anyone who needs help receives it in a matter of minutes. Working for MotoGP is dynamic to say the least, regardless of the nature of the job. It takes a great team of maintenance, racers, media crew, and advertisement to make the event a reality and bring an adrenaline-filled show to millions of viewers time and time again. That being said, the team has a chance to get some "downtime" when they need to refill tanks and do general checkups. Working for MotoGP takes a great deal of focus, energy and dedication. One thing you'll never have to worry about is boredom, making it the ultimate passion career. 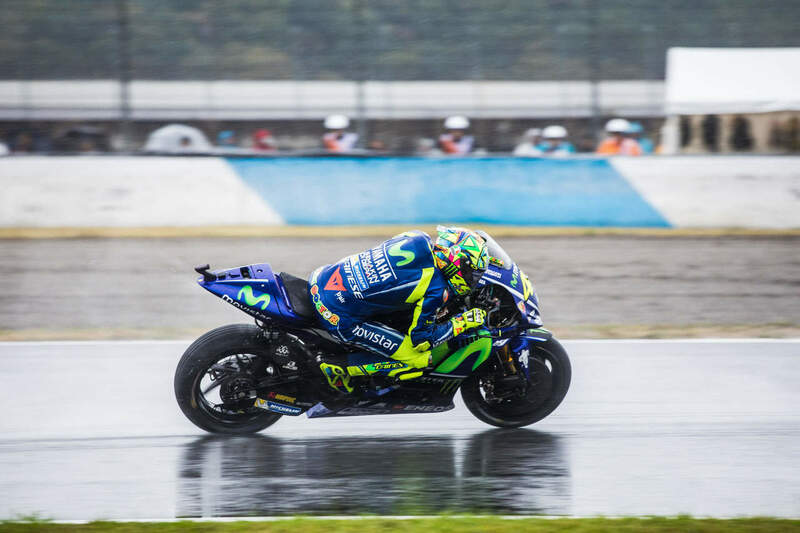 Rider Valentino Rossi returned to the track mere 22 days after breaking his leg, which is a great example of what it feels like to pursue a career with determination. And when it comes to winning, even if you're on the same team, you're still a competitor. Following a career led by passion will never be boring. In fact, it's the only way to achieve professional fulfillment and MotoGP is an excellent example. Speed, adrenaline, and cooperation regardless of weather circumstances - how far are you willing to go to pursue your passion?